Quick and easy access to Mega Millions, Powerball and state lottery results in the US. Latest jackpot, winning numbers with drawing history, prize levels/payouts (fixed prizes) and game information for multi-state Mega Millions, Powerball, Lotto America, Hot Lotto, 2by2, Lucky for Life, Cash 4 Life, and state lotto games from Arizona (AZ) Arkansas (AR) California (CA) Colorado (CO) Connecticut (CT) Delaware (DE) District of Columbia (DC) Florida (FL) Georgia (GA) Idaho (ID) Illinois (IL) Indiana Hoosier (IN) Iowa (IA) Kansas (KS) Kentucky (KY) Louisiana (LA) Maine (ME) Maryland (MD) Massachusetts (MA) Michigan (MI) Minnesota (MN) Missouri (MO) Montana (MT) Nebraska (NE) New Hampshire (NH) New Jersey (NJ) New Mexico (NM) New York (NY) North Carolina (NC) North Dakota (ND) Ohio (OH) Oklahoma (OK) Oregon (OR) Pennsylvania (PA) Rhode Island (RI) South Carolina (SC) South Dakota (SD) Tennessee (TN) Texas (TX) Vermont (VT) Virginia (VA) Washington (WA) West Virginia (WV) Wisconsin (WI) Wyoming (WY) Plus Puerto Rico (PR) - Powerball and Local Games US Virgin Islands (VI) - Mega Millions and Powerball Only INSTRUCTIONS * Tap on Menu button on top left to change your location or to select/hide/reorder lotto games and other options * Tap on location name on top to switch between favorite/recent locations * Tap on lotto game name to see game options * Tap on winning numbers section of a lotto game to view drawing history * Tap on next drawing section of a lotto game to view game and prize level/payout information This is an ad-supported app. Please send questions/comments/requests to [email protected] or visit us at www.mylottos.com. Very helpful app. Keeps the winning numbers and past numbers right at my finger tips. Keep up the great work. This app is pathetic. I cannot find where the winners live. The other app was user friendly. Why you had to mess with this, is unknown. Leave a good thing alone. Easy to use. My only request would be to be able to enter your regularly played numbers and have any numbers matching highlighted on the biweekly results. At first, I was misled by the name of the app. 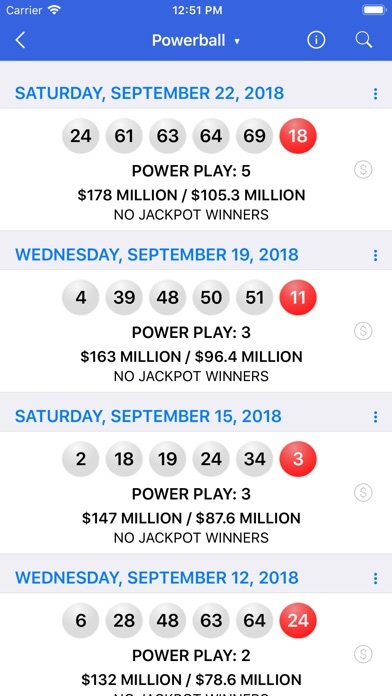 After I downloaded the app, I realized that it provides the results of all of the Florida lottery games! Love it! I just wish that it had scanning abilities to check tickets as does many other states. Please add this feature! Mostly play the lottery when it’s a big drawing. This app never fails. This app is definitely one of the best for checking your lottery ticket. Fast updates. Easy to use it covers everything. 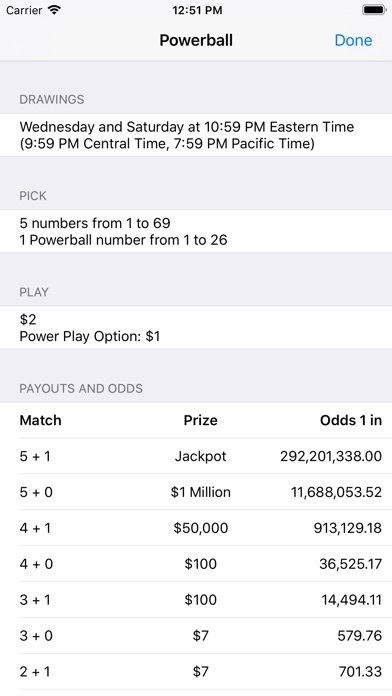 I would love a widget for the iOS lockscreen that shows MM & PB current jackpots and results. 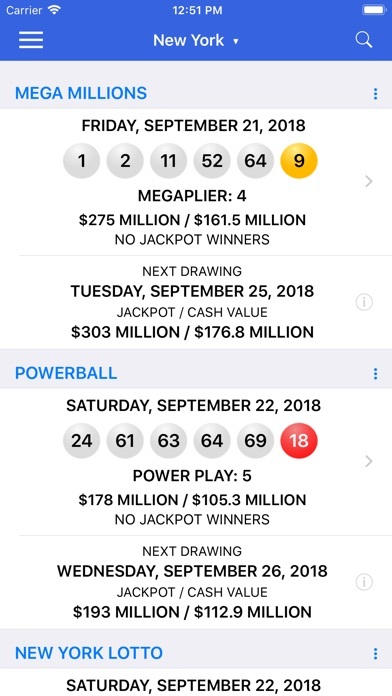 If you did not have google putting ads in front of the lotto results or in my way of seeing something, it would be great. 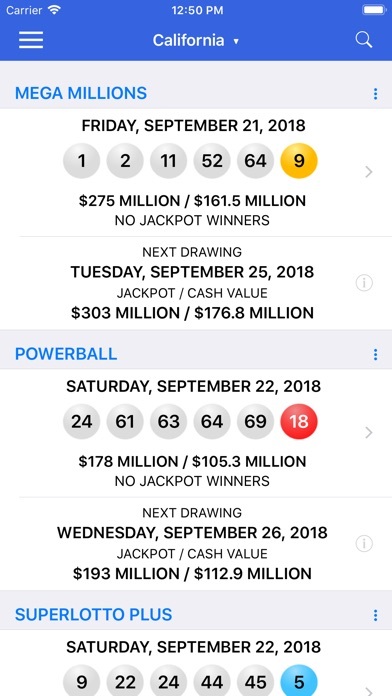 I like this app for checking my lotto ticket numbers. I'm giving it four stars because I feel like I can't give it five stars only because I never find out that I'm a winner. I'm tired of being a loser, once I almost came close I was only one number off on all five numbers. Easy to use app. Toggling between games is simple. Would love to see a function like Texas has- you scan your ticket and it tells you if you are a winner. 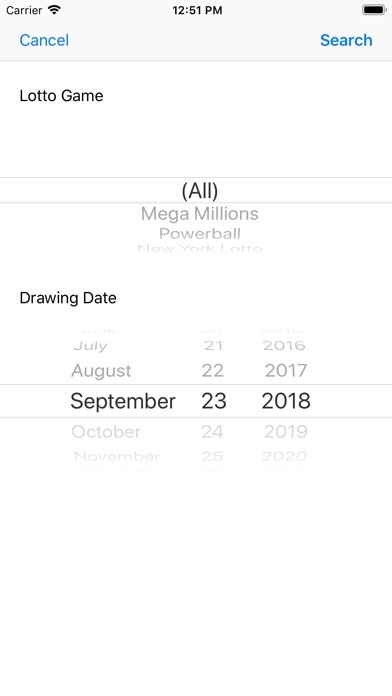 This app gives you the full New York Lottery results twice daily. However you have to wait at least 30 minutes to obtain these results after the official drawing. It should be 15 minutes or less after the official drawings. Put it back like the way it was, I like it back the other way, it's better. Or how you change it back the other way. I'm talking about the dark screen way instead of the white. Please bring it back!!! Ok. ... now how you get the classic view on iPads or tablets. I like the classic view better ... got it on my iPhone but can’t get on my iPad ... why..? I use this app every day seven days a week. 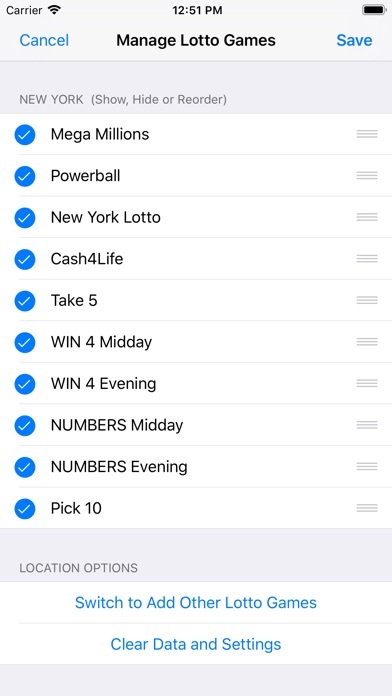 It is excellent the greatest lottery app on the market. I enjoy looking at all the different games! I like the convenience too. I miss them doing it on tv! I just wish I’d win! Playing the same 6 numbers since it started in ‘94 and I’ve kept all the tickets!! Before it was great all 5 stars but lately the ads just ruining it!!! Ads are a pain to deal with Sooooooo annoying. Nothing but the best for any info anytime! Quick and easy. Love it!! Used for sometime now. Straight forward and easy to use. Have been using this application for a while. Very accurate and easy to look up all games in the States where I play at.One of the best Lottery application to use. Keep up the great work. We love it. Best app we have found. Every thing you need for any lottery right at your fingertips. Thank you!! I love this app. Numbers at my finger tips! About a month ago the added ads that pop up more frequently. Sometimes each set of numbers I check. The ad freezes my iPad and they place a (X) at the top of many that give the user the false impression it can be closed by pressing it. As this is the case with the industry standard. We all know this. At the same time, with this particular app it is misleading and diabolical in that it both freezes the app and takes the user to the advertisers website. 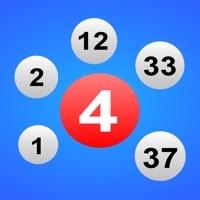 💜I use this app twice a week to check the lottos I play with just one click! Love that I can list only what I play and see them as soon as I open the app! Thank you! This most beautiful and understandable way of checking your numbers daily is paramount. You never miss a beat and to the numbers affectionados you know you have a treasured resource at your fingertips and a confident ending to to any question you might have as to what numbers came out. Very convenient and easily accessible on smartphones, Ipads, etc. I love this app. Checking the numbers are easy as 1, 2, 3. Tight app, helps for reviewing all states to get you on point, if you know how to use it. Provides the info you are looking for. Love to keep my dream just at the touch of my fingers. It’s so easy search the results. It’s only missing the option to buy online. It would help me a lot instead of running at the last minute to have my numbers. Great job !! Simple to use. Updates quickly. Now, I just have to win! !